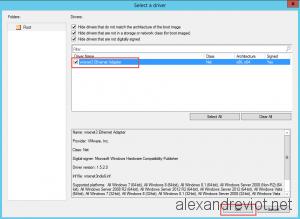 Before importing VMware drivers into Configuration Manager, you need to have a virtual machine running VMware Tools. 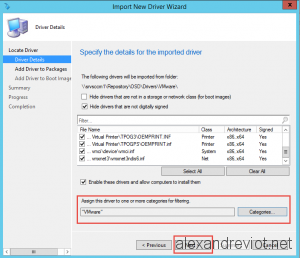 Drivers are located under C:\Program Files\Common Files\VMware\Drivers. 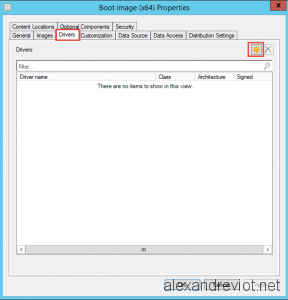 Paste all folders into your SCCM Repository folder. Go to Software Library, Operating Systems. 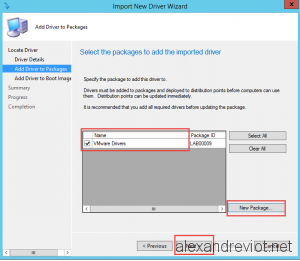 Follow the Import Driver Wizard. 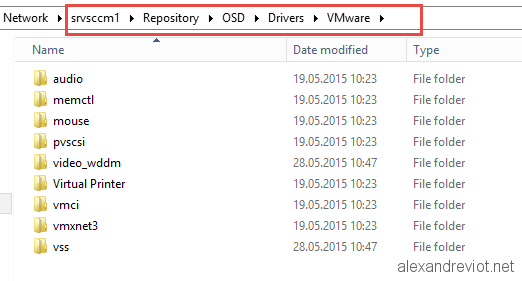 Source Folder: Your repository share folder. 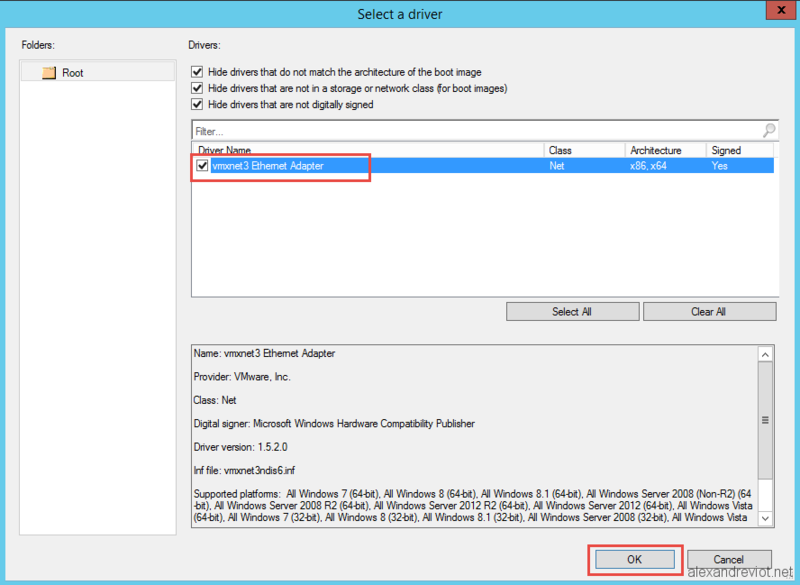 Check all drivers and add a categorie VMware. 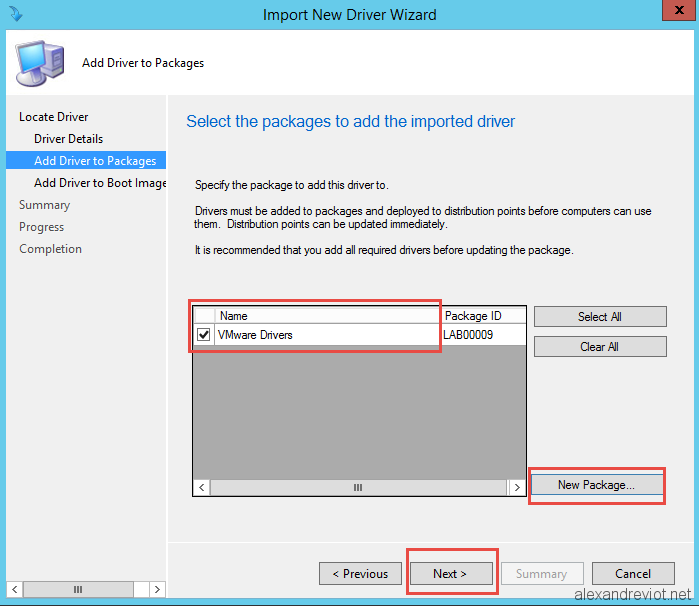 Create a new Package for VMware Drivers. 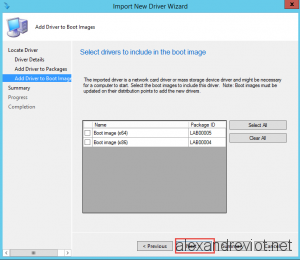 Don’t add the driver to the boot image now. We will do it late. 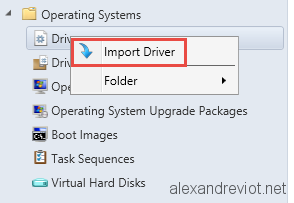 Move drivers into a specific folder. Select Boot Image (x64) and click on Properties. On Drivers tab, select the Add button. 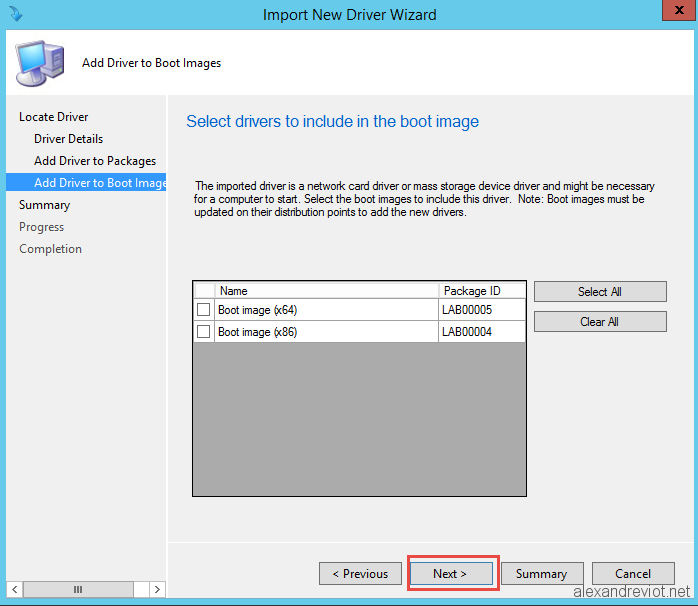 Update Boot Image (x64) on distribution Point. 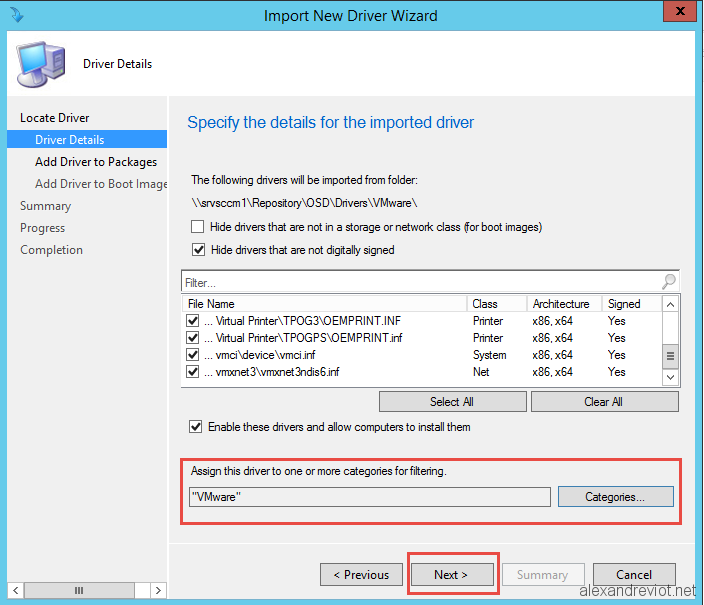 You can get more information about SCCM and Drivers here. 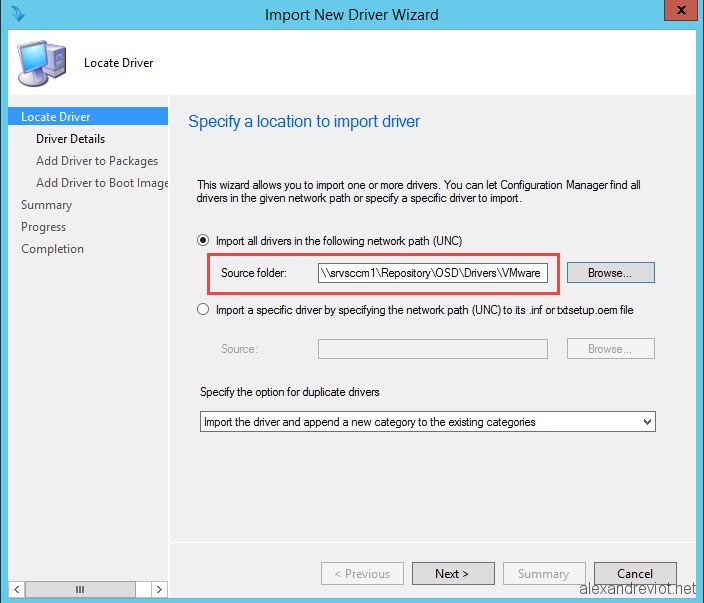 This entry was posted in System Center, VMware and tagged drivers, Network, reboot, SCCM, vmware, winpe. Bookmark the permalink.